One of Birmingham’s historic landmarks will be brought back to life after it goes under the hammer at Bond Wolfe Auctions’ inaugural sale at Villa Park on Wednesday 13 March. 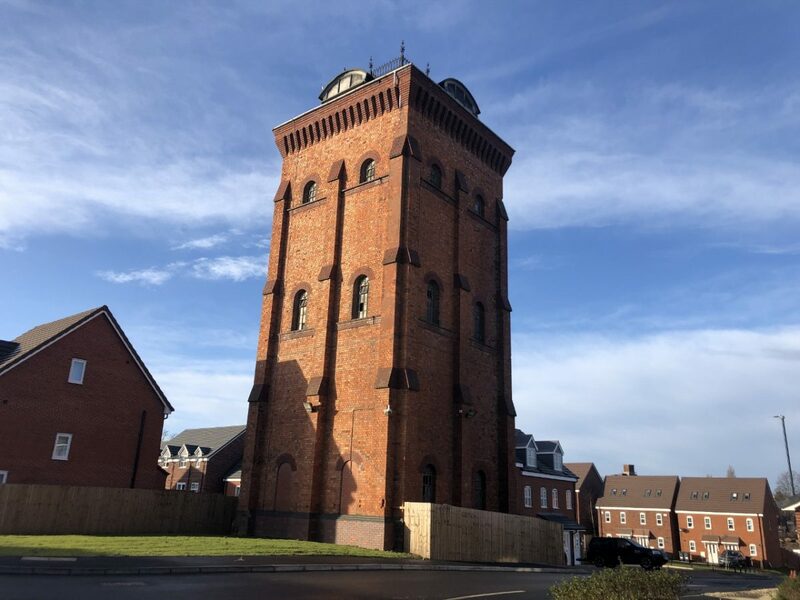 The locally listed former water tower which previously formed part of Selly Oak Hospital has planning permission for conversion into three apartments. Jonathan Hackett, consultant director at Bond Wolfe Auctions, said: “Selly Oak Hospital’s water tower was built in 1902 as a new entrance to the workhouse, but since the closure of the old hospital it has lain dormant. “But now there is a chance for a local developer to take on an oven-ready project that is bound to spark interest in the area. The ready-made development project is offered with a guide price* of £100,000+. It is situated on a corner plot on Meadow Drive, reached via Raddleburn Road, on the former site of Selly Oak Hospital. Mr Hackett said it was just one of a number of interesting residential, commercial and land development opportunities that Bond Wolfe Auctions was lining up for the first of six auctions the company will be holding in 2019 at Villa Park. Bond Wolfe Auctions was launched in early 2019 by Bond Wolfe, one of the region’s leading property consultants. The team behind the new business is led by chief executive Gurpreet Bassi and managing director Ian Tudor who until recently were the heads of residential and commercial auctions respectively at the Bigwood auctions business. Bond Wolfe Auctions is based in newly refurbished offices on Colmore Row, Birmingham with further offices in West Bromwich and Wolverhampton. To view a selection of the properties already lined up for Wednesday 13 March, go to https://www.bondwolfeauctions.com/properties/ – or to offer your property please call 0121 312 1212. * Each property is subject to a Reserve Price which may be different from the Guide Price. Bond Wolfe Auctions has a record breaking and award-winning team with over 250 years of combined property experience. They sell all types of residential, commercial and mixed-use property, investments and land/development sites for private individuals and corporate clients. They will hold six auctions in 2019 at Aston Villa FC as well as offering online auctions, selling properties nationally across the UK. Agricultural tenants have less than 12 weeks to comment on proposals which could mean far reaching changes, according to experts in the agricultural and estates team at Thursfields Solicitors.